Large asset transfers are taxable in the United States. 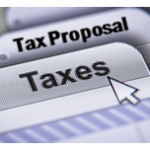 We have a federal estate tax that carries a 40 percent top rate, and there is also a federal gift tax. The gift tax and the estate tax are unified, so they have the same rate. There is a relatively large unified lifetime exclusion that you can use to facilitate tax-free asset transfers up to a certain point. For the rest of 2015, the amount of this unified exclusion or credit is $5.43 million. Inflation adjustments are applied on an annual basis, so when a new year rolls around, you may see a slightly larger figure. Asset transfers that exceed the amount of this exclusion would potentially be subject to the federal estate tax, with one exception. If you are legally married in the eyes of the law, and you are married to an American citizen, you can use the unlimited marital deduction to transfer unlimited assets to your spouse free of taxation. Why would the citizenship stipulation be in place? Giving everything to your spouse tax-free as a tax efficiency strategy is really not going to be effective, because your spouse’s estate could be subject to the tax. You would just be postponing the taxation. On the other hand, things would be different if the unlimited marital deduction was available to someone who is a citizen of another country. This individual could receive a tax-free inheritance and then return to his or her country of citizenship with the money in hand. The Internal Revenue Service would never be in a position to collect anything. If you are a high net worth individual who is married to someone who is a citizen of another country, you cannot transfer assets tax-free, but you could make your spouse the beneficiary of a qualified domestic trust. You name a trustee after you fund the trust, and the trustee would be able to distribute the earnings from the trust to your spouse if you do in fact die first. These distributions would be subject to regular income taxes, but the estate tax would not be a factor. After the death of your spouse, a secondary beneficiary of your choosing would assume ownership of assets that remain in the qualified domestic trust. The bad news is that this transfer would potentially be subject to the estate tax. 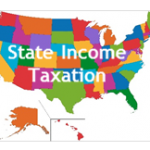 We practice in Connecticut, and in our state, there is also a state-level estate tax that you could be exposed to even if you are exempt from the federal tax. 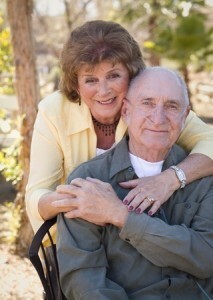 If you would like to learn about the wealth preservation strategies that can be utilized, we can help. 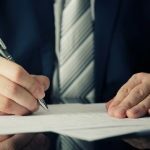 Our firm offers free consultations, and you can contact us through this page to set up an appointment: Hartford CT Estate Planning Attorneys.